I want black cartridges for a Canon Pixma MX340 printer? How are the Pixma MX350 cartridges replaced? I want to understand through photographs. You can get the most inexpensive prices on the internet on Canon MX350 cartridges here on Cartridge Save. Choosing your MX-350 ink takes two or three minutes, which is nothing compared to the job of speaking to every shop there is in your community for your replacement supplies. We've done the hard work so you can buy each one of the cartridges that are compatible with the MX 350 inkjet printer. Purchase your genuine and/or compatible Canon print cartridges online using our store and you will get the offer of free next day delivery as standard. As additional proof to you that we'll never carry anything other than superior quality ink cartridges, every single one of them includes a rock-solid 12 month money back guarantee - should you encounter a problem simply post your printer cartridge to us and we will quickly refund your money. The all-in-one Canon Pixma MX350 is the mid-range version of the Canon Pixma line. This all in one printer, scanner, fax, and copier is aimed at homes and small offices. It boasts an Automatic Document Feeder for fast copying and scanning, plus user-friendly 2.5" LCD and large function keys. The Canon Pixma MX350 features multiple connectivity options, including a built in Wi-Fi network, USB and memory card slots, and an optional Bluetooth. 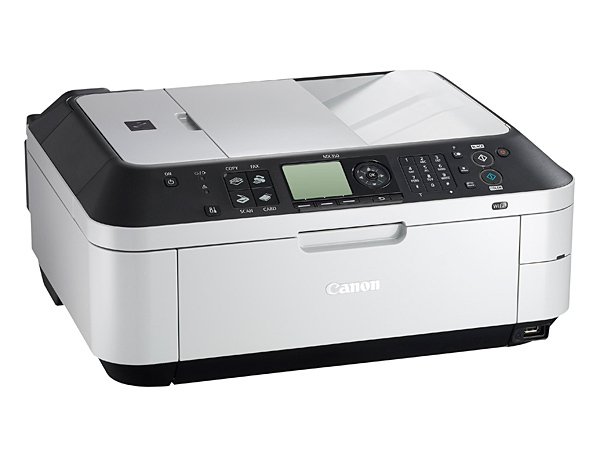 Like all Canon printers, the Canon Pixma MX350 is sturdy and solid. But unlike other inkjet printers with ADFs, the Canon Pixma MX350's 30-sheet feeder is on top instead of the bottom. The control panel features a keypad for fax dialling plus large function buttons (for copy, fax, scan, and card), plus a large LCD display. The Canon Pixma MX350 will produce excellent prints and photos time and time again. It is user-friendly and has a convenient LCD screen. Offices with multiple computers will find the built-in Wi-Fi and Automatic Document Feeder handy. Users can also print without a PC using the memory card slots and USB Port that allow direct camera printing with PictBridge. When compared to low-end printers from Canon, the Pixma MX350 is pricey. The printing speed is very slow and costs for printing are higher, mainly because it uses a single colour cartridge.